Asya is a professional musician, in past - a bayan performer and teacher. She often DJs at regular milongas in Saint Petersburg, also she is one of the organizers os St.Petersburg Tango Marathon 2015. She has played music at El Huracan 2015, St.Petersburg Tango Marathon 2015, at after-party of Istanbul Festival 2015, Winter Tango Marathon 2015 (Vilnius), etc. "I prefer different music of the Golden Age. My favourite orchestras are D'Arienzo, Di Sarli, Troilo, Pugliese, Calo, Fresedo. I also pay attention to some Guardia Vieja orchestras - all in good measure. 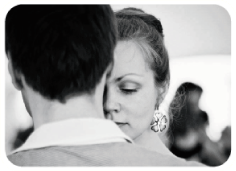 I try to create festive atmosphere at a milonga with a drop of intimacy and tender note of romance."